Just received the following press release from JustaJoy Family Heirloom Exchange. Now that I have some things off my plate, I can finally sit down and write my review of this website, which is slated for later this week. Doug Miller, resident of Santa Clarita, CA, has found a new calling. An avid genealogist with records on his own family back to the 16th century, Miller has long understood the enchantment of the ancestral call, and now he hopes to share the obsession in a very unique way. Joy is Joy Shivar, owner of the JustaJoy.com Family Heirloom Exchange, an indexed website designed to match original antiques and artifacts back to families. “It always seems that the person in charge of distributing an estate is the wrong one and important family items end up in the hands of antique dealers or collectors. JustaJoy.com is designed to alleviate this situation. We call it ‘Antique Hunting in the Family Tree’ for ‘Orphaned Heirlooms’”, she explains. Besides documents, other items found on the website include pictures, newspapers, advertising pieces, family Bibles, furniture, trophies and other engraved items, yearbooks and much more. JustaJoy.com is currently advertising original items associated with nearly 40,000 families and, according to Shivar, new surname-related items are added nearly everyday by the antique dealers and others who own them. A $20.00 annual membership fee entitles users to full access to all information on each item including the name of the current owner, contact information and the asking price. Buyers and sellers work directly and the site does not charge commissions, buyer’s premiums or final value fees. The site is called an "Exchange" because persons interested in selling simply join the site as a member, all of whom have access to the "Add a new Surname Listing" function. An important feature of the site is the “Surname Notification” service. Members are automatically notified as new items are added that match any of the names on their personal surname list (up to twenty can be entered). Although sold items remain on the site as a resource, the surname notification is important to interested buyers because there is usually only one of each original item available. 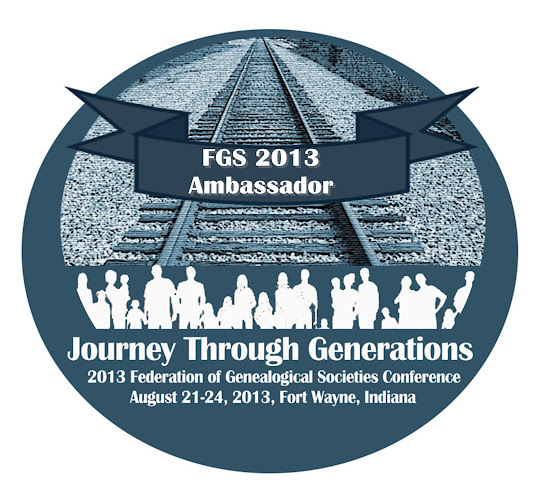 Miller met Shivar at a recent conference of the Federation of Genealogical Societies held in Springfield, IL and as she explained the service provided by JustaJoy.com, he instantly thought of his archive and how valuable his pieces could be to the right descendant.